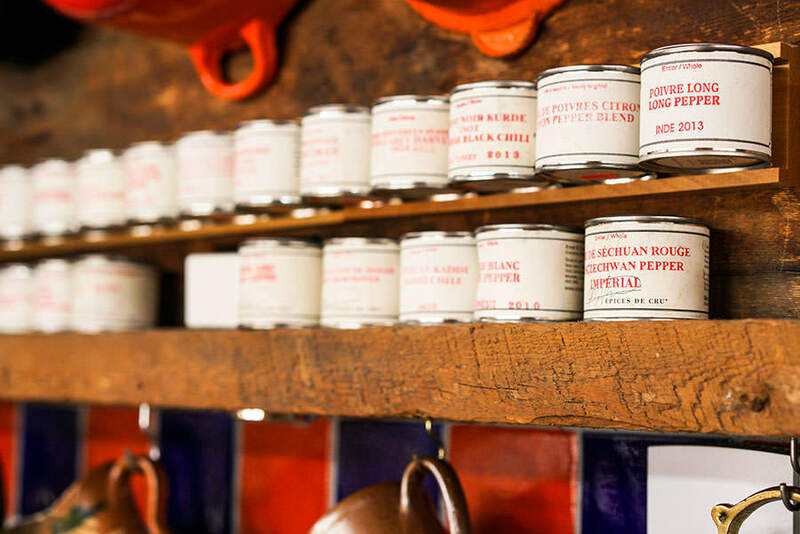 Refilling the spice rack should be an exciting affair, but it’s all too easy to be derailed by the impressive number of spice and spice-related products out there. How should I store them? How can And I use them most efficiently? This guide can help you cut through the noise and get back to what’s important. The quality of a spice varies according to its origin. The best way to judge is to smell and follow your nose. If the fragrance of a spice pleases you, so too will its flavour. 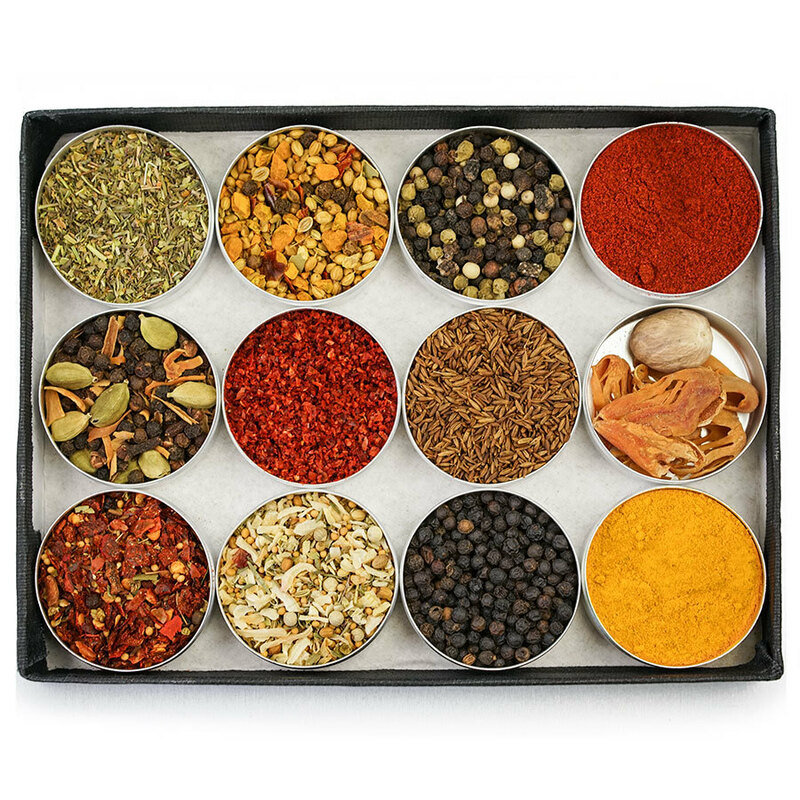 Whenever possible, spices should be bought whole, as their fragrance is released as soon as they are ground. 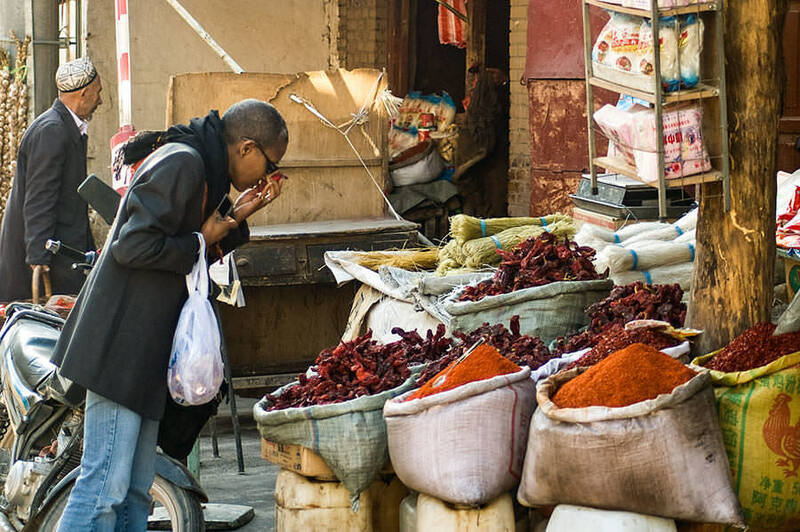 They also keep longer than ground spices, which quickly lose their fragrance and are often, unfortunately, still subject to fraudulent practices. With that in mind, it is important to note that there are many reputable merchants who do sell quality ground spices which are usually packaged in metal containers that protect the spices. 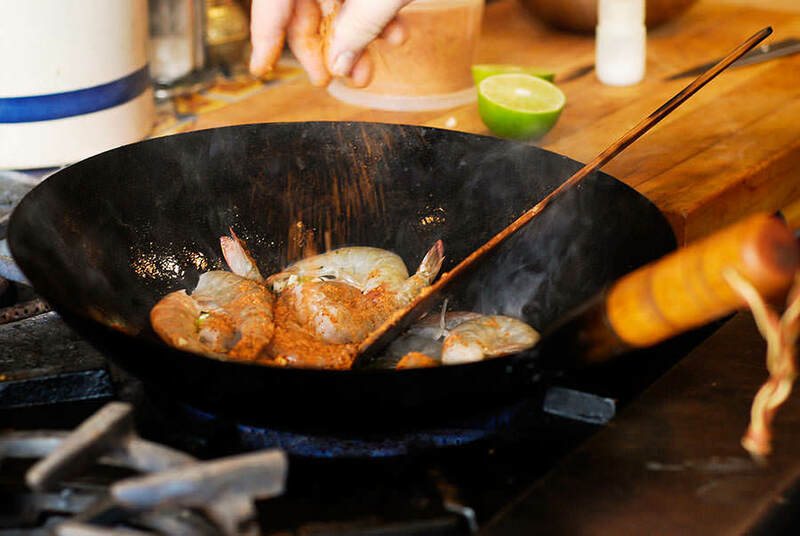 Air, light, humidity, excessive heat and time are all enemies of spices. 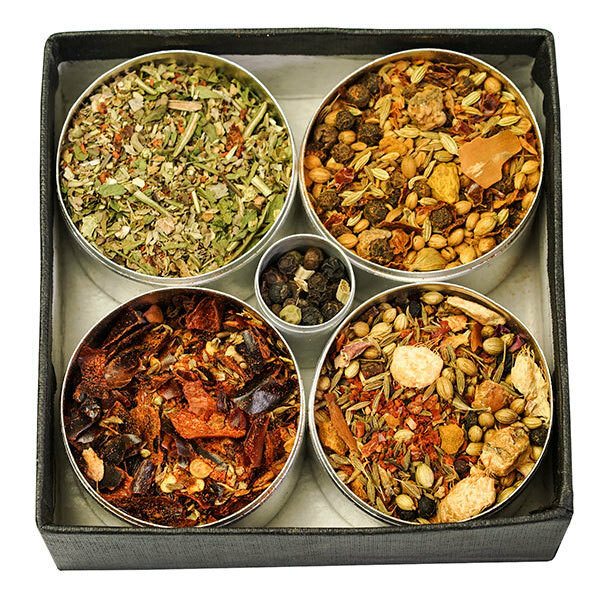 In order to preserve flavours for as long as possible, buy only whole spices that can be consumed within a year or two. Store them in small, airtight metal or opaque glass containers in a cupboard or drawer, far from heat and light sources. Bags, plastic containers and clear glass jars are not recommended. 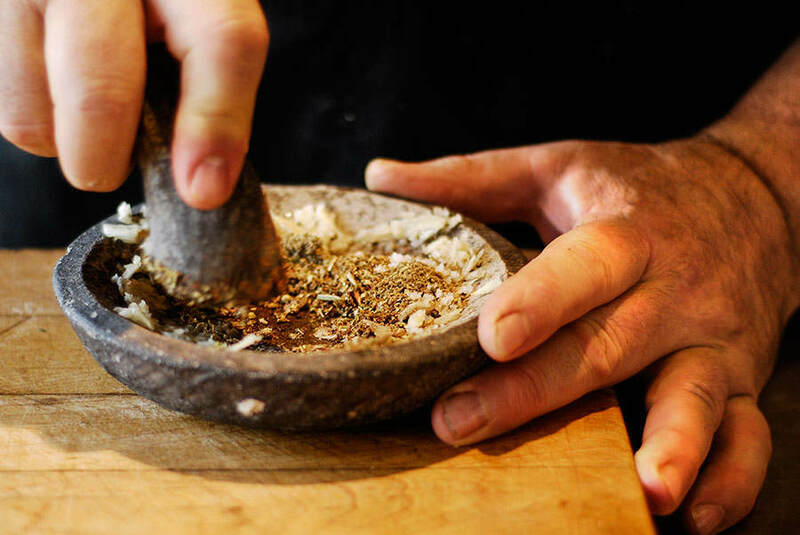 A stone mortar is the ideal tool for grinding spices and allows us to make our own spice pastes. Choose a large mortar that you can handle with ease. Remember, a heavy mortar grinds more efficiently, making your task easy. 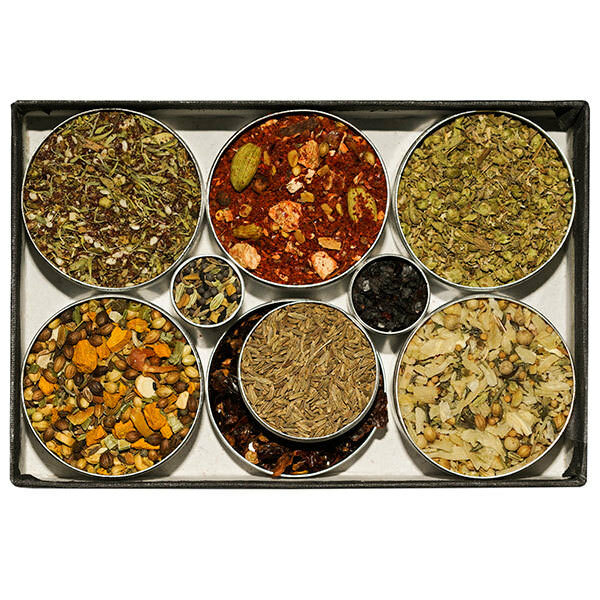 Electric mills are convenient for most spices, except those that are large of extremely hard like turmeric or ginger. If you use a mill for these spices, you risk breaking the blades of your grinder. It’s simple. Use spices as you would salt. Taste and adjust accordingly. When you determine that there is enough, it’s enough.